Raker Architects is a medium size professional service firm of architects, interior designers, and related specialists with offices in Marin County. Project history ranges from individual to public scale with a concentration on commercial, institutional, high end residential, and public sector work. Clients include public utilities, corporate and development organizations, institutions, individuals, and a variety of government entities. The organization consists of a core staff of professionals and a resource group of contract employees. Members of the core include senior design and technical personnel who are also experienced project managers. Contract employees are specialists in programming, interiors, cost estimating, CAD, and construction administration, whose skills can be used to supplement those of the core group as required for a particular project. A long-standing working relationship of approximately ten years exists between the core and resource groups. The advantages of this organization are two fold: Fees tend to be competitive since resource staff are not carried when unassigned. Project teams can be customized to specific project requirements, making highly specialized and experienced personnel available as needed. Client contact and project management are provided, however, by a single Principal or Project Architect throughout all phases of the work. 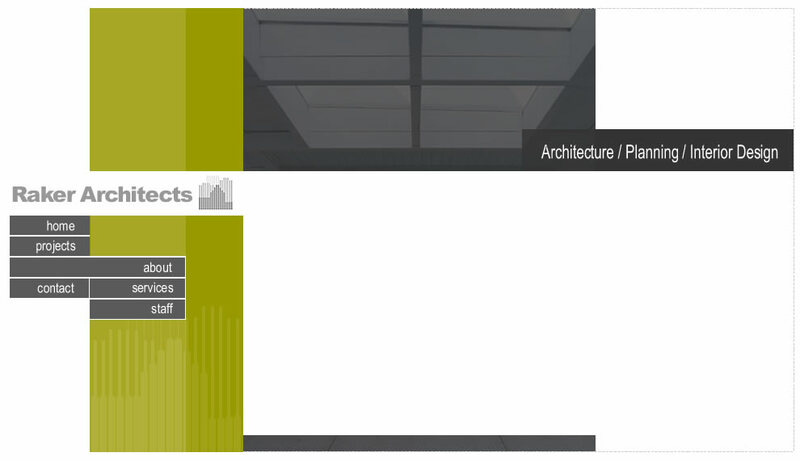 Firm Principals have over thirty years of experience, the last twenty as Raker Architects. Founder, Christopher Raker, also acts as an expert legal witness in cases involving ADA accessibility or architectural practice & standard of care. The Firm is a member of the American Institute of Architects and licensed to practice architecture in the state of California.